This is a common question of all publisher at Google AdSense because new publisher have curiosity to know that how much they are going to Earn with 1000 views with Google AdSense so today I will explain all the factors and the estimated earning that which you are going to get 1000 page views on Google AdSense how you can ask that how much does Google AdSense pay 1000 page views. If anybody says that Google is paying $1 for 1000 views then he is absolutely wrong the real answer of this question is that their are not any exact amount shared by Google which they were paying fir 1000 views. all the numbers are suggested by bloggers is their own experience with Google AdSense I would also disclose my own experience with Google AdSense. 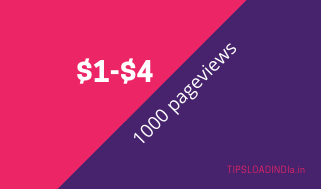 Earning with google AdSense for 1000 page views. Google AdSense is not giving a fixed amount to its publishers instead of this they use several factors to calculate earning for every 1000 page views. These are the 2 factors that can effect your revenue in google AdSense. If your website is getting visitors from large countries than you can earn more money with 1000 page views, for example if your website is getting most of the traffic from UK than google AdSense will show high value ads on your website and your earning will be increased for every 1000 pageviews. 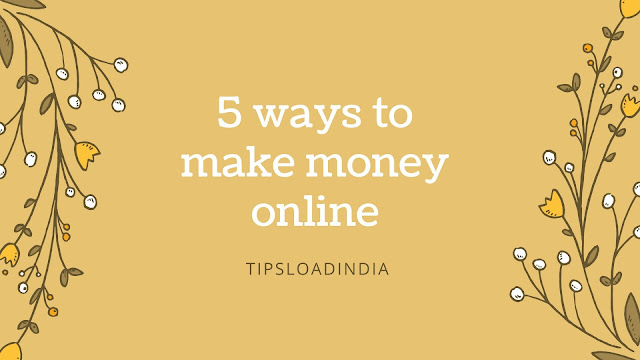 This is a very important thing to get more money with Google AdSense if you are writing content with rich keywords for example you are targeting Dosti words which are very popular among the advertiser's then you can get higher revenue even with small pagetraffic. If you choose right keyword than you can get $3 for per thousand page views. For newbies Google can provide average of $1 for every thousand pageviews this can be same in YouTube and your website content all the earnings with Google AdSense is totally depend on your visitors quality and location and second thing on which your earnings are dependent is your content improve your content and increase Earning with Google AdSense.